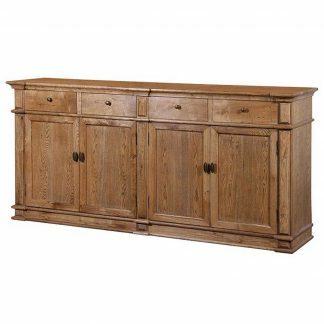 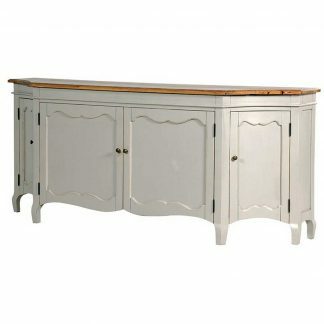 Wonderful chic French dresser hand crafted with exquisite detail that give this dresser a fabulous rustic charm. 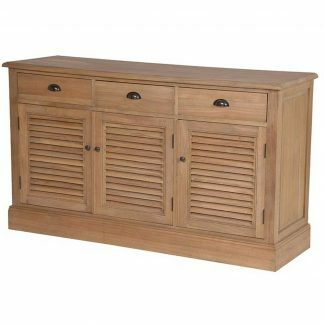 With three top drawers and three lower main cuboards with metal knob handles. 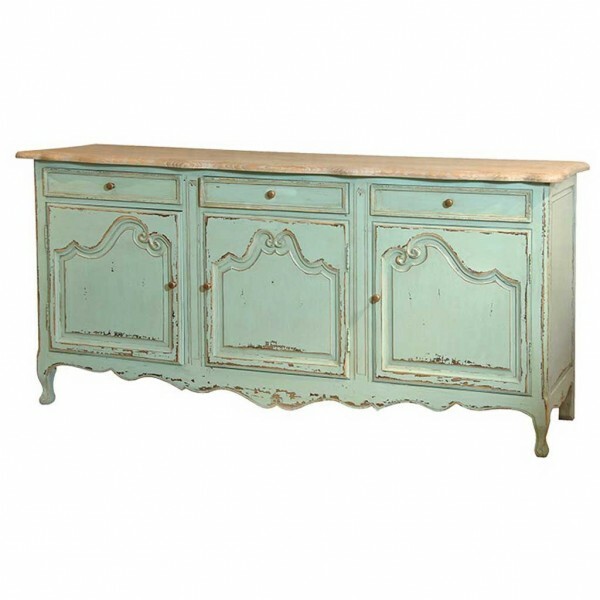 Finished in a hand painted distressed turquoise blue-green effect with a solid oak wood top. Supports by four painted legs, the front two have a descorative turned shape to complete the look and charm of this dresser.